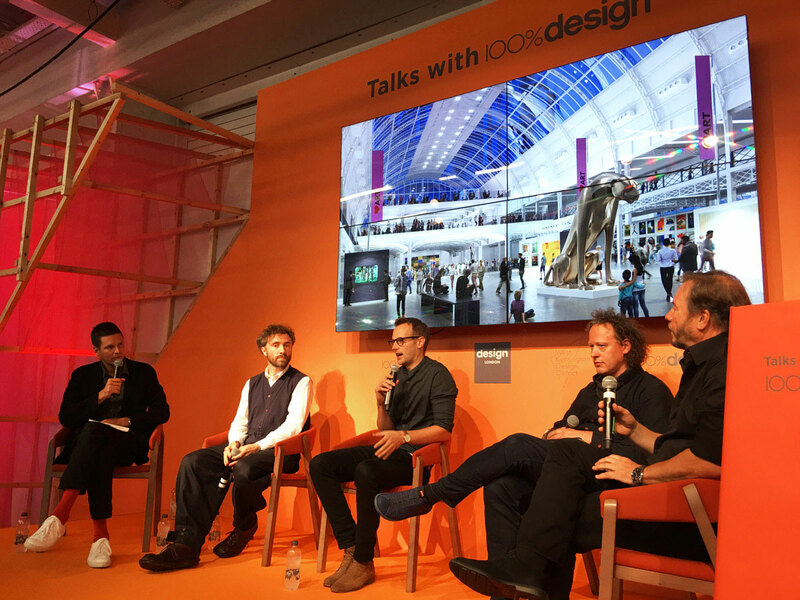 Thomas took part in the first panel discussion of 100% Design this morning. In conversation with Max Fraser, he spoke about the studio’s upcoming projects, including Coal Drops Yard and Maggie’s Yorkshire. YOO Chairman John Hitchcox joined the discussion, along with Heatherwick Studio’s Eliot Postma and Trevor Morris of SPPARC, where they explored the future vision for Olympia. This year’s 100% Design is open 19–22 September at Olympia London.